The 7-inch slate capable to map the space around it in 3D is now available for purchase in both black or white and should ship in 1-2 days once ordered. Next to Google Glass, the Google Project Tango slate can be considered a prototype that offers us a view of the great things that will go mainstream in just a few years. Unlike the smartglasses, the Google Project Tango tablet can be already used by the average consumer as any other Android slate. 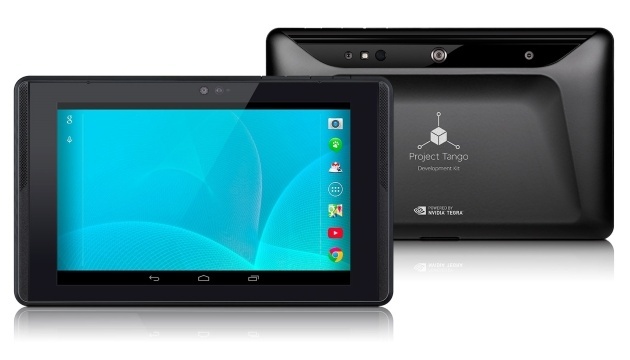 The only problem that remains is the price, but it is good to see that Google did not restrict access to Project Tango to developers so virtually anyone can buy this device, as long as it is available in their region. According to Google, "The goal of project Tango is to give mobile devices a human-scale understanding of space and motion." The tablets appear as available on Google Play Store to whitelisted users and, once ordered, they leave the warehouse in 1-2 business days.